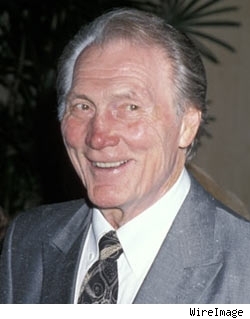 Jack Palance, the gravel-voiced actor whose career spanned bad guy and, later, funny guy roles, died today at the age of 87. According to family members, Palance passed away at his Montecito, Calif. home of "natural causes." Palance is best remembered for his Oscar-nominated role as the evil gunfighter Jack Wilson in "Shane" and such dark roles as Dracula and Attila the Hun. Younger audiences discovered him later from his hosting gig on "Ripley's Believe or Not," and, perhaps most popularly, his portrayal of the gruff cowboy Curly in "City Slickers." He also made the one-armed pushup, which he executed with panache as he accepted his Academy Award in 1992 at the tender age of 73, a symbol of masculine achievement.